16/05/15. Awbar Village, Darbandikhan area, Iraq. 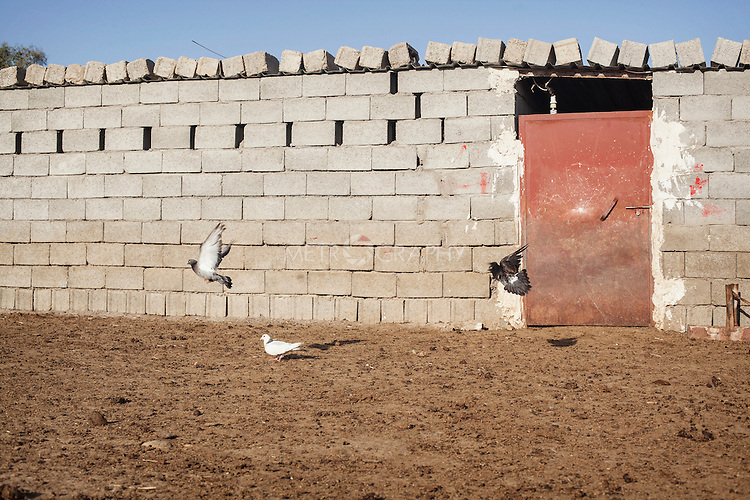 -- Some pigeons fly in front of the sheep stable.